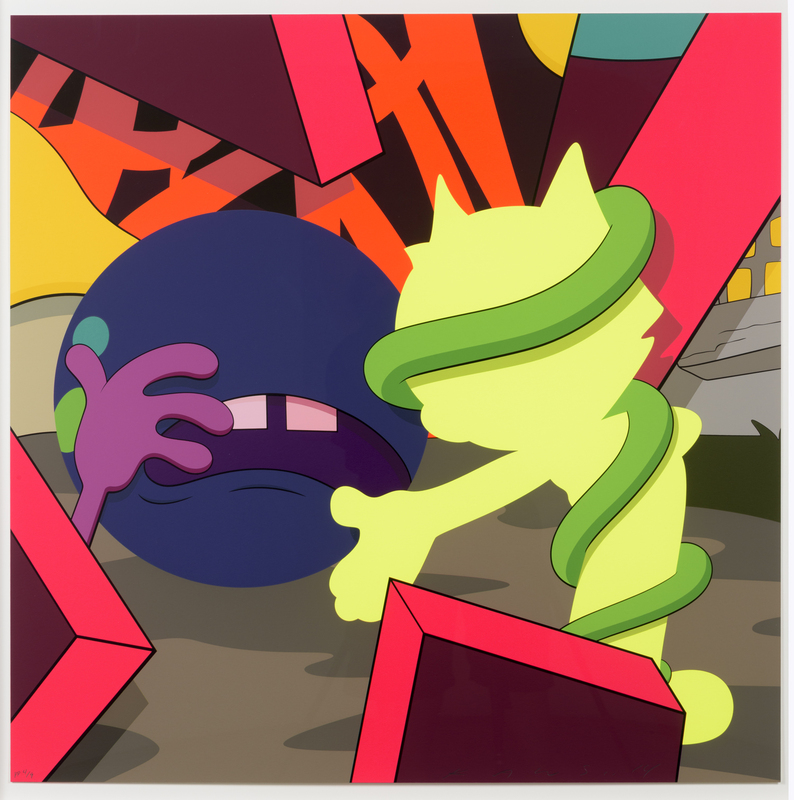 KAWS, You Should Know I Know, 2015, Screenprint, Vertu Fine Art. Click to inquire. High fashion’s embrace of streetwear is mirrored in the art world slowly bestowing credence to street art. In fact, the two cultural worlds have intersected in sell-out partnerships between designers and popular street artists. This culminated in Gucci’s collaborative project with ‘Gucci Ghost,’ a New York based street artist. Gucci’s emblem was recast as a street tag: seemingly spray painted on accessories and introduced via graffiti billboards across cities. While street art is marked for its transitory and informal quality-easily painted over the urban landscape it decorates, the auction and museum realms have recently celebrated street art as stand alone artworks. Boston’s ICA recently devoted a solo exhibition to Bay Area street artist Barry McGee and the (obvious) staggering auction value of Basquiat at auction demonstrates how the sub-culture of street art has increasingly become more mainstream. 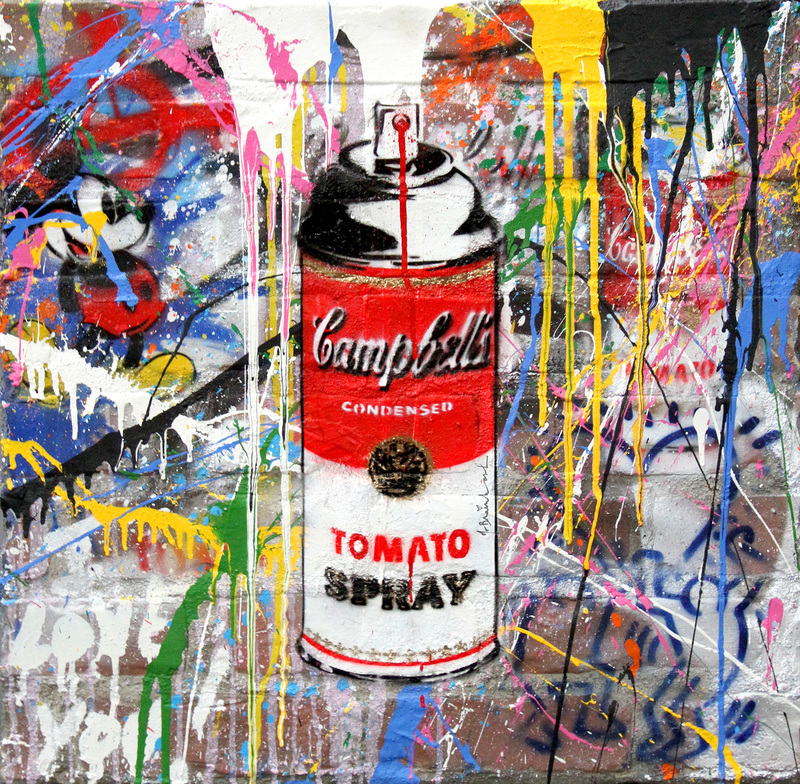 Mr. Brainwash, Tomato Spray, 2016, Stencil and Mixed Media on Fiberglass Brick Panel, Contessa Gallery. Click to inquire. FADA’s inventory encompasses various outlet of street art. New FADA Member Gallery Vertu Fine Art holds in their inventory prints by KAWS, Shepard Fairey and Erik Parker-familiar names and brands amongst the art world. Likewise FADA Member Contessa Gallery holds in their inventory canvases and sculptures by Mr. Brainwash-best know for his pinnacle role in the film Exit Through the Gift Shop (the search for the illusive Banksy). 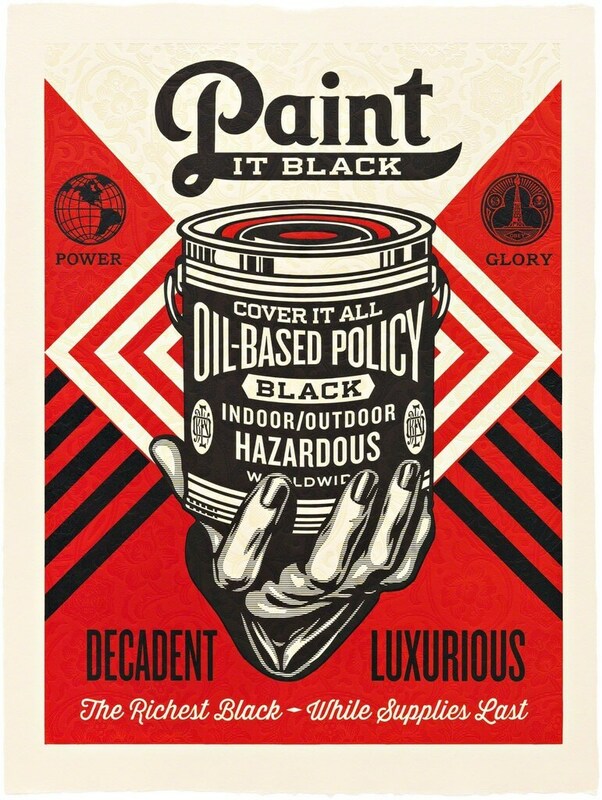 Shepard Fairey, Paint it Black, 2015, Three color relief print, Vertu Fine Art. Click to inquire. The movie’s early fascination with the secretive and undercover activities of street artists greatly juxtaposes today’s cultural (and political) celebration of street artists’ work, and how street artists are no longer anonymously attached to their work, but recognized as fully-fledged artists. 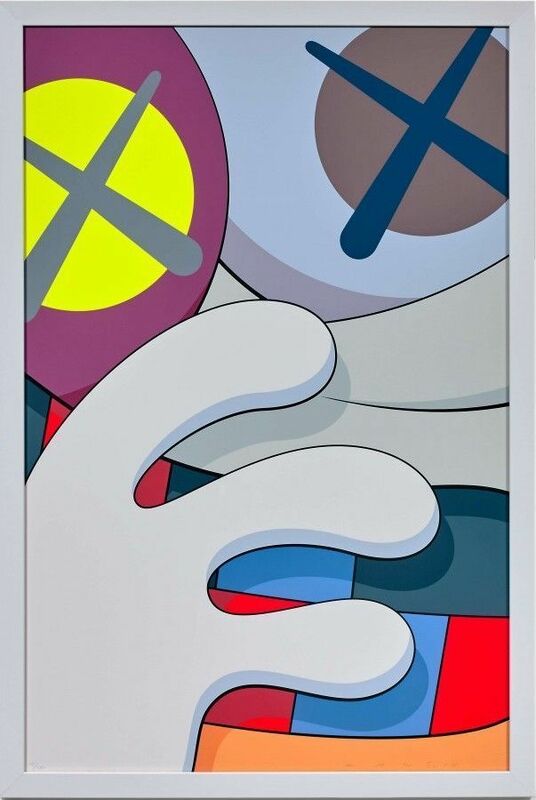 KAWS, Presenting the Past, 2014, Screenprint, Leslie Sacks Gallery. Click to inquire.